Regional limited edition Kit Kats are all the rage in Kyoto, so we had to try both of the Kyoto editions. 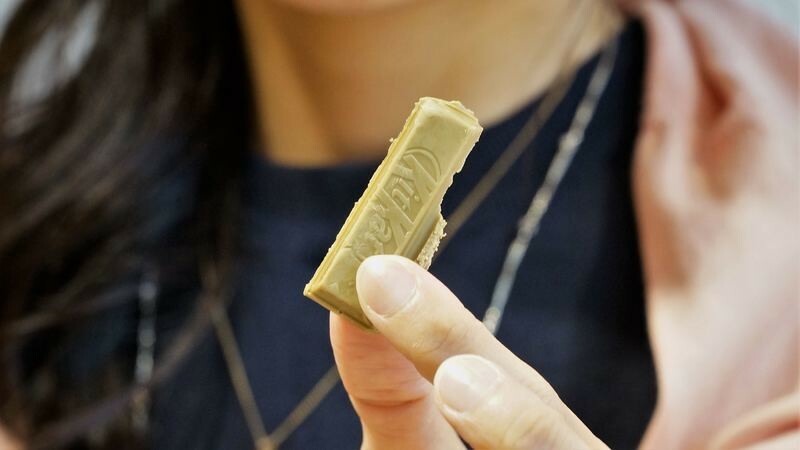 Did you know that there are regional Kit Kats sold all around Japan? Take the Kansai area for example; in Kobe you have pudding Kit Kats, and in Kyoto, of course matcha. 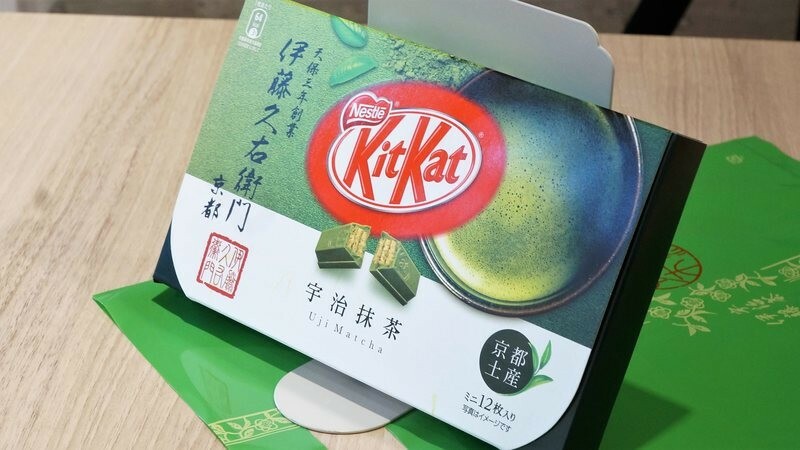 Originally matcha Kit Kats were a Kyoto exclusive, but they became so popular that now they are sold everywhere. But, of course, there are still Kit Kats you can only get here, in the ancient capital. These Kit Kats are made in collaboration with Itohkyuemon, one of, if not the most famous green tea store in Kyoto. They offer two kinds of Kit Kats, matcha and hojicha. The matcha one is quite normal if you have had matcha Kit Kats before, but the hojicha one really does taste like roasted tea. 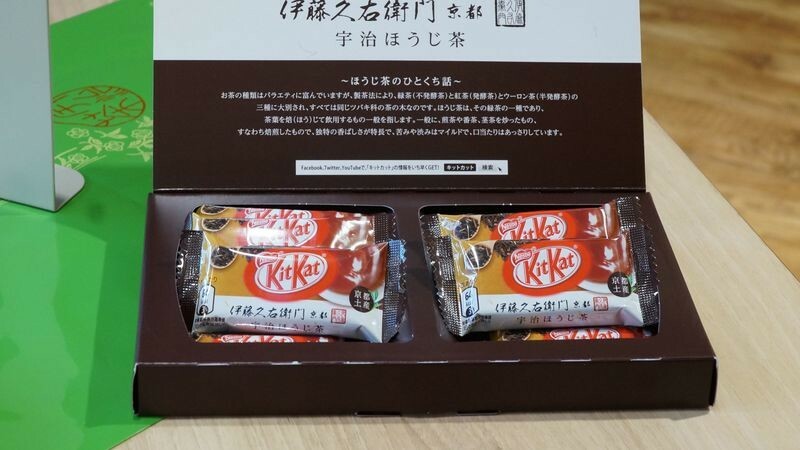 As you can probably see from how cool the packaging of these chocolate bars looks, these Kit Kats are intended to be given as souvenirs or just presents. The price is also a bit more expensive than normal Kit Kats, coming around at 864 yen including tax. The surest place to get these Kit Kats is of course at Itohkyuemon, who have their main shop in Uji, but also have a shop next to Kyoto Tower. 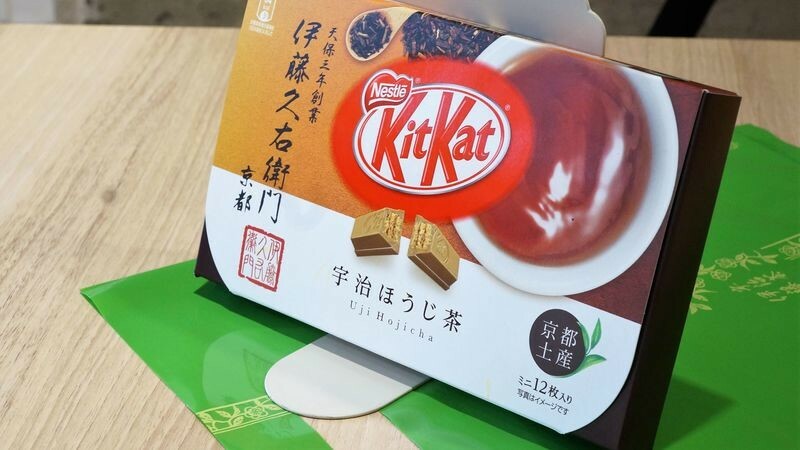 The more striking one of the pair is this one: Kit Kat flavored by hojicha grown in Uji, Kyoto. This one also costs 864 yen for 12 mini-bars of Kit Kat, and instead of green, these are light brown. The taste of the roasted green tea is surprisingly strong and rather pleasant. 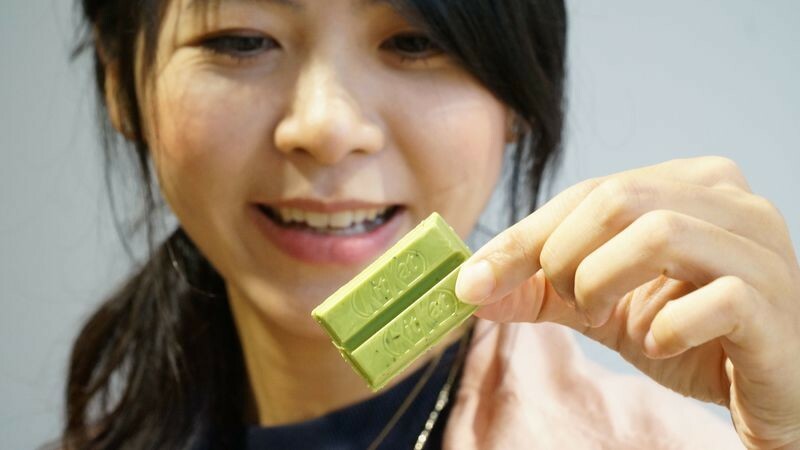 Our staff writer Vanessa was really excited to try Itohkyuemon’s matcha Kit Kats, but she found them a bit sweet. And in my opinion, the taste doesn’t differ that much from the normal ones; these Itohkyuemon ones just have a stronger matcha aftertaste. I and Vanessa would both prefer them to have a stronger matcha-taste. Next, we have something that is not green. The verdict on these hojicha Kit Kats is that they are a must-have souvenir when you are in Kyoto! They are a bit sweet, but the strong hojicha aftertaste makes them taste unique. So, if you want to get Kit Kats as souvenirs in Kyoto, these hojicha Kit Kats are the best choice! Of course you should also remember to check convenience stores for weird seasonal flavors such as cough drop flavored Kit Kats. I always buy matcha Kit Kats as presents when I go back to Taiwan. All my friends and family really like them, so I was really happy I had a chance this time to try Itohkyuemon’s matcha Kit Kats that use matcha grown in Uji. But the real star here are the hojicha Kit Kats; the fragrant roasted tea makes the taste really special, and the aftertaste is special. 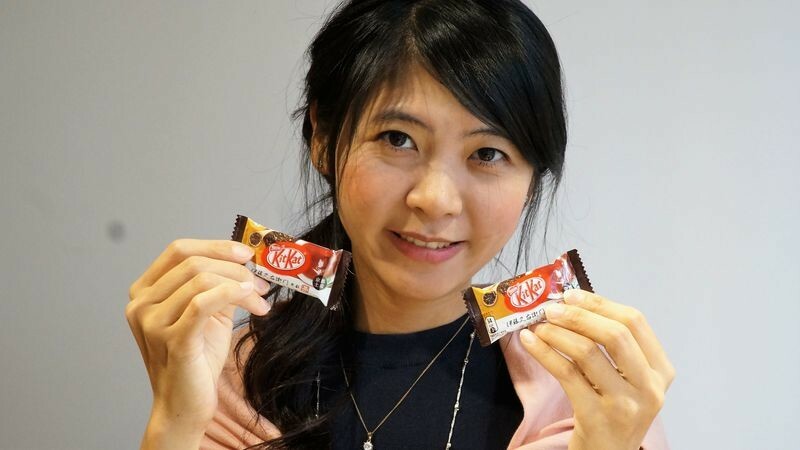 Next time you come to Kyoto, get some Kit Kats as souvenirs that you can only get here! A new hamburger at CROSS Burger&Beer/Coffee is on sale! Muromachi Wakuden Edition: Cub reporter Yumemi goes to the delicious kaiseki restaurants of Kyoto! Report: Sharing Kyoto’s kaiseki and temple tour to students enrolled in Japanese language school!